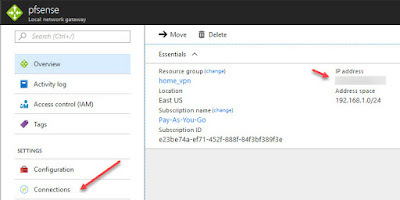 I will explain and detail how to manage SAP Hana 2.0 SP2 instance with SAP LaMa 3.0 SP5 in the context of hybrid landscape between on-premise and Microsoft Azure. In order to monitor my hybrid solution i will explain how to configure Solution Manager 7.2 accordingly. 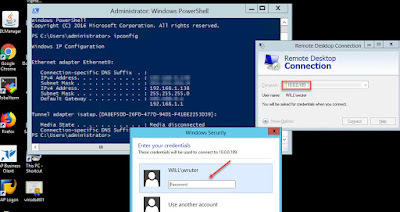 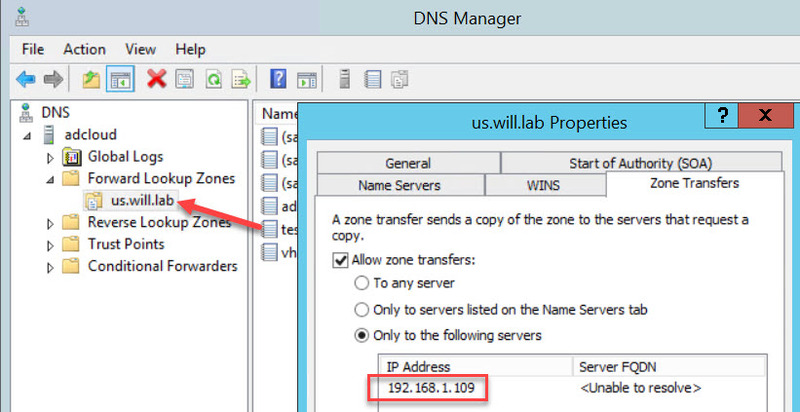 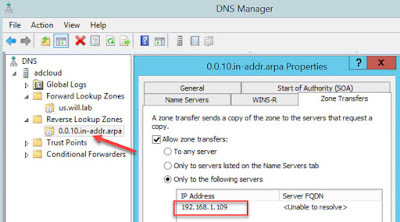 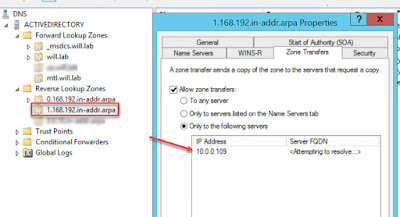 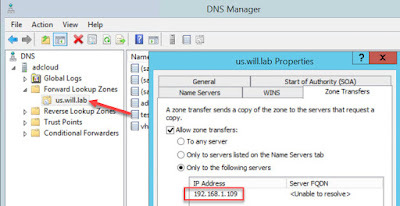 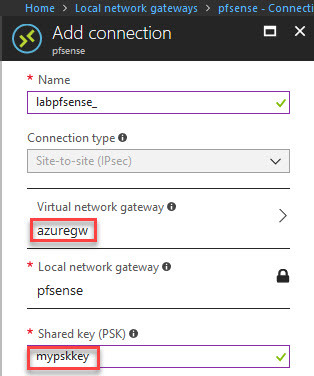 Aside of the SAP components, I will also covert the network implication to realize such type of configuration, which include the IPSec connection between my lab and Azure by using pfSense and the DNS portion for the naming resolution between both site. 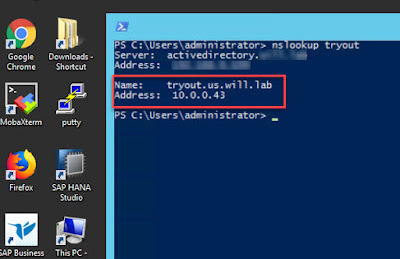 For my setup, I will use my own lab on VMware VSphere 6.5 U1, use SAP LaMa 3.0 SP5, SAP Solution Manager 7.2, Pfsense 2.4.2 and use my own Microsoft Azure subscription. This picture shows in detail the components deploy on each server such as add-on as well as product version, the protocol of communication is showed too but I intentionally omit to provide any port. 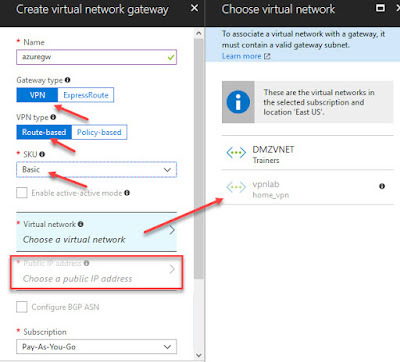 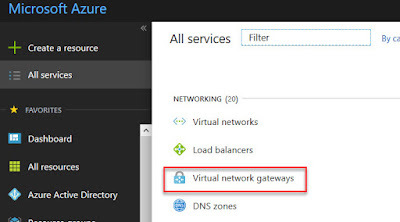 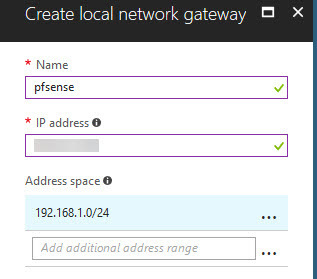 From a detail components point of view, in order to ensure a transparent and secure connectivity between my on-premise environment and Azure I will use and configure PFsense and Azure Gateway to create a VPN IPsec tunnel. The management of my SAP Hana instance is done through SAP LaMa 3.0 SP5, which will include the Azure Connector to interact with Azure VMs. Solution Manager 7.2 SP6 is used for advanced integration monitoring for my hybrid solution. 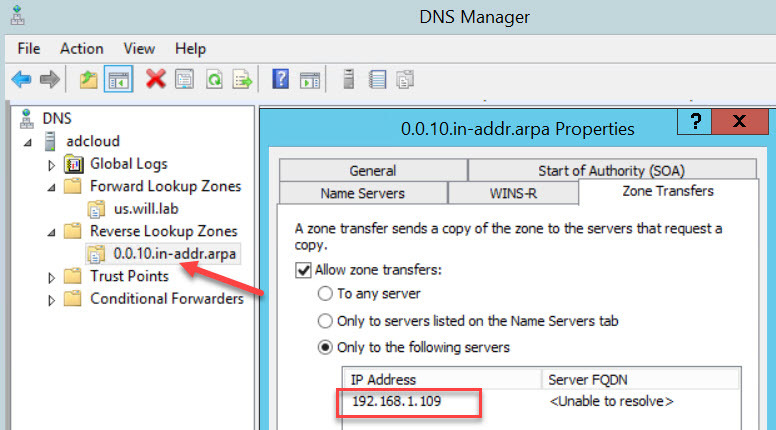 To ensure reliability in term of naming resolution, two DNS are configured and replicated as read-only to each other. 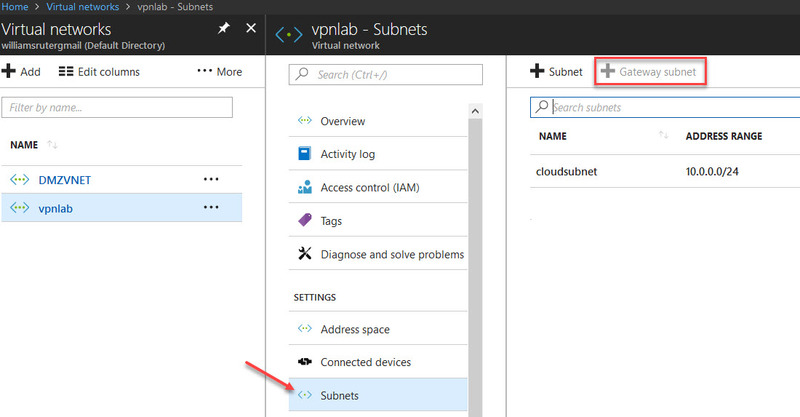 On the left side of the picture, I have configured my VMware DvSwitch which operate for 2 different subnets, one is configured for vLan (Local) for my local server network, and the other one for vWan (Firewall) for internet access. 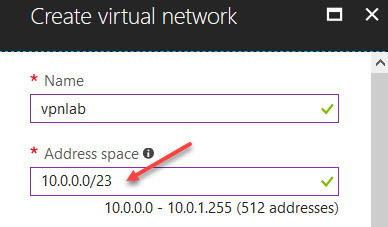 In order to setup my vpn, I have installed pfSense which act as a virtual firewall/router. 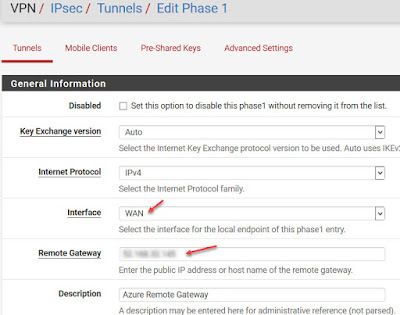 My pfSense is configured with 2 NIC card, one for WAN network to provide internet access to my VMs within my vLan network through the second NIC card LAN which act as a gateway. 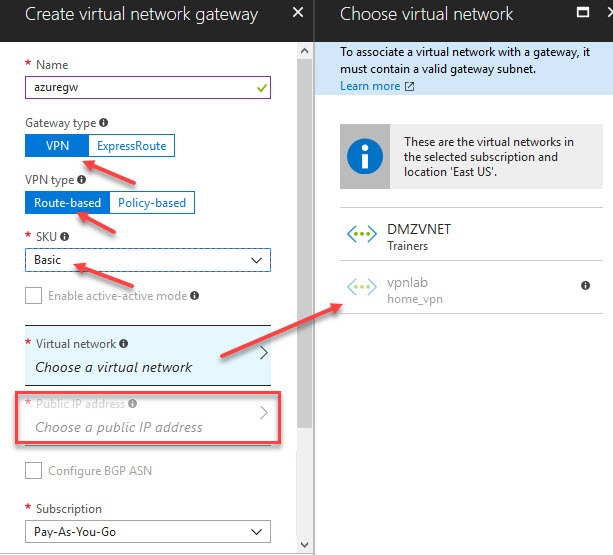 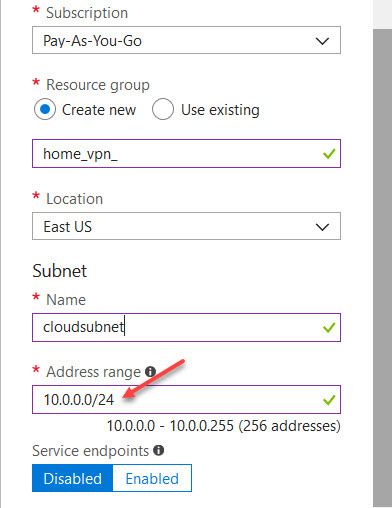 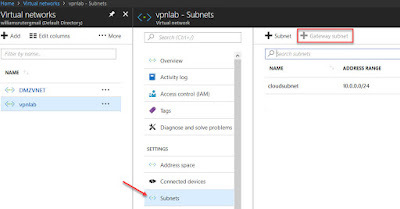 On the right side of the picture, on Azure I will configure multiple component to create the vpn connection associate such as, virtual network and subnet, virtual network gateway and the local network gateway. 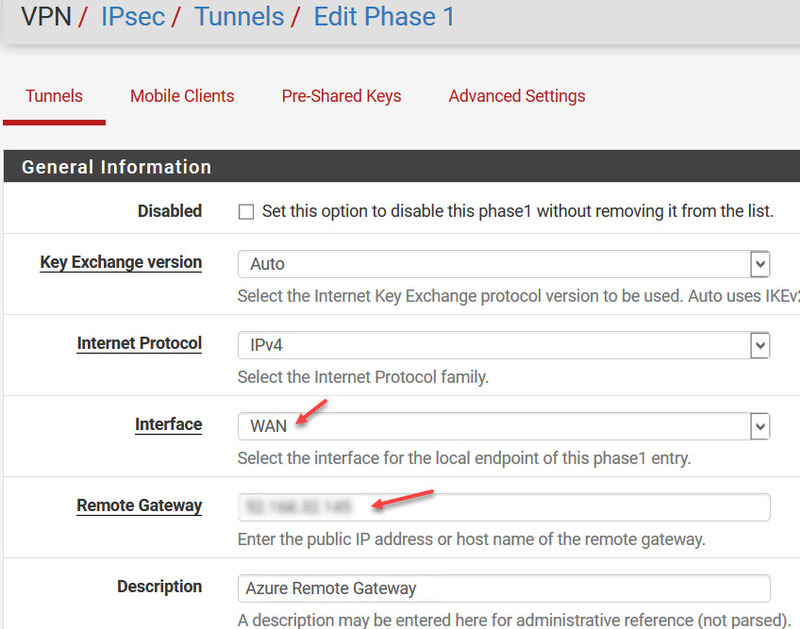 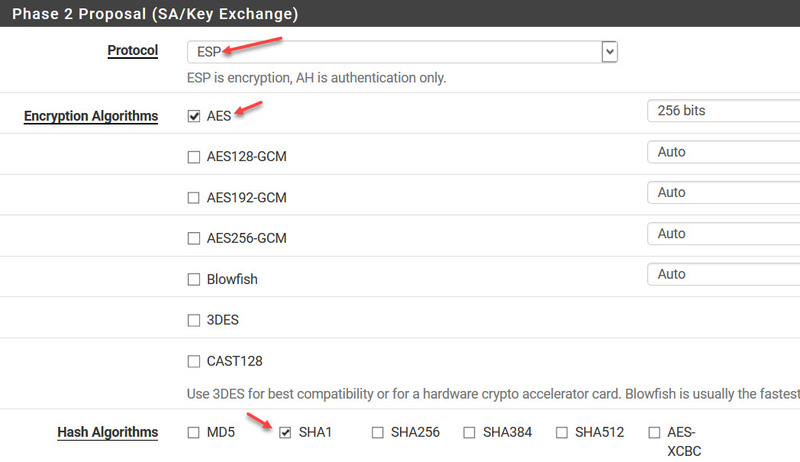 Once created, I select my newly created local network gateway and click on connection to assign the virtual network gateway and set my shared key which will be use with my pfsense. It works I can RDP from my local network to Azure by using the private IP, this first part completed I will configure my DNS in order to resolve mutual domain and hostname. 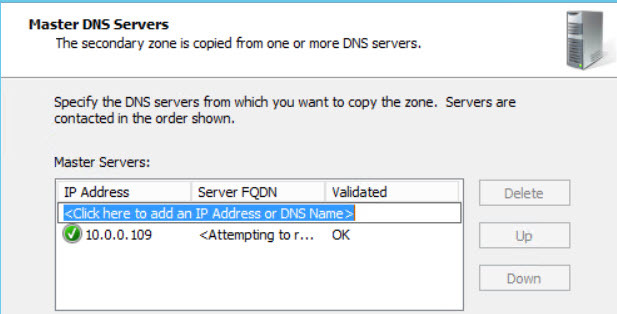 My hybrid scenario consists of using Azure as a DR site, to do so I have install two DNS with two distinguish FQDN.